Before a proper discussion on how to get preapproved for home loan, it’s important to define mortgage loan terms and conditions. In very simple terms, a mortgage is the type of loan that real estate buyers will use as a form of financing for their property purchase. For buyers who already own property, mortgage loans can be used to finance any other type of purchase. Mortgage loans, either for existing or for future owners, are secured with the debtor’s property. The buyer is able to discuss the lending options at their disposal and set up a budget, together with the credit institution. The buyer is better able to determine what their loan range is and what’s their specific cap for borrowing money through a mortgage. Remember that you don’t necessarily have to maximize that cap – it’s far more important to stay within a comfort zone that will allow you to pay back the loan comfortably. The lender gets the opportunity to run a credit score check on the potential debtor and inform them in due time whether there are any issues with their credit. Sellers are far more likely to negotiate the price of a home with interested buyers who have obtained a pre-approval letter from their bank of choice. Remember that pre qualifying for mortgage is not the same as getting a pre-approval. While it’s good to have prequalified for mortgage, since it will give you a rough idea as to your home expenditure limits, a Citibank mortgage pre approval, for instance, is worth far more in the long run than to pre qualify for VA loan. This is not about the best bank to get a mortgage loan – in the above scenario, both options are solid. It’s just that, in order to get a pre-approval, the lender runs a credit check and a documentation verification to approve a particular amount on loan. None of these things happen in the case of a home loan prequalify, which makes prequalification less relevant for home sellers. 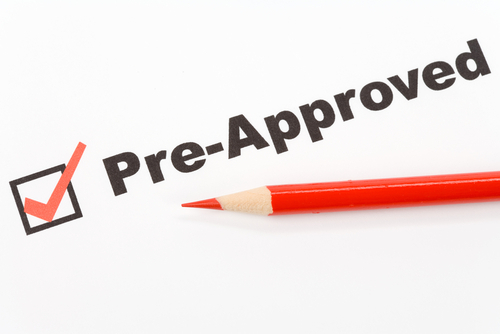 How to get a pre approved home loan? In a nutshell, you need to tick off the five items on the list below. Proof of income. Have all your recent pay stubs handy, as well as W-2 statements from the past couple of years. Any other forms of income, like alimony and bonuses, should also be accounted for – and you’ll need a record of your year-to-date income, and tax return papers for the past 2 years. Proof of assets. Any paperwork that can attest that you have sufficient liquid assets to pay the loan down payment and closing expenses, plus cash reserves, will serve you at this point. Bring in bank statements, statements from your investment account, or a gift letter if you’re receiving any money that will help you with the mortgage from a relative or friend. Good credit score. For the lowest rates at hand, most credit institutions will look for a credit score of 740 or higher. You can still get a mortgage with a lower score, but you will likely have to pay more for it. The FHA has also recently tightened its loan conditions, so they now require larger down payments from borrowers with credit score below 580. Most credit institutions will approve an FHA loan with a credit score of at least 620. Proof of employment. Aside from the aforementioned pay stubs, expect a call from your lender to your employer, as well as to your former employer, if you’ve recently switched jobs. They need to know your employment is safe and your salary is continuing. Additional paperwork. For the lender to take out a credit report, they will need your driver’s license, signature, and social security number. Since additional documents may be required as part of the process, prepare to be cooperative.